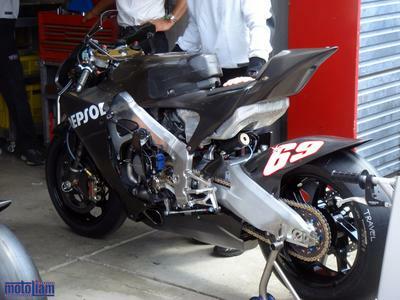 Motegi by Monday - The New 800's! Couple shots I took this afternoon while hanging out at Twin Ring Motegi, Honda's home track, and one of the most elaborate and beautiful circuits I've seen. I'm hoping to get into the Honda Collection Museum later this afternoon, but for now, here's a peak at what next season will bring. 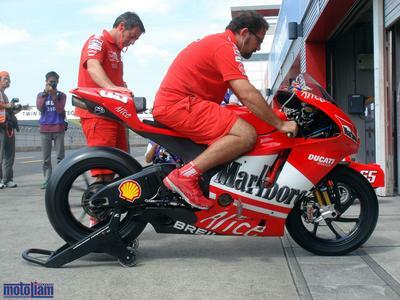 Valentino was spinning some laps on his new 800, which looks very similar to this year's machine . . . . for now. 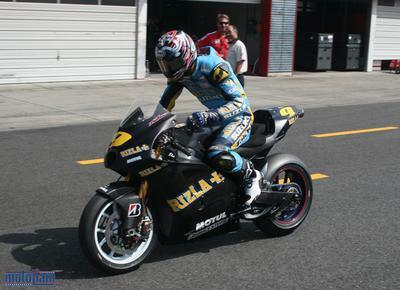 Suzuki had something a little different out there as well. Managed to check this out, too! This has got to be one of the tightest projects ever to come out of Honda, with people still guessing about the engine configuration. The left side is very, very, interesting. Almost "street-fighterish". The full profile is sharp, and it's looks like next year is going to be fantastic! But more than the looks, you guys really need to hear the new machines. It's out of this world. Hey Liam - You've got a worldwide scoop mate! Fantastic photos! Awesome photos! You definitely have an enviable job! Nice pics. I Dugg (digg.com) ur pic of the profile shot of Honda's 800. Have fun in Japan and safe travels. Can't wait for the rest of the season? 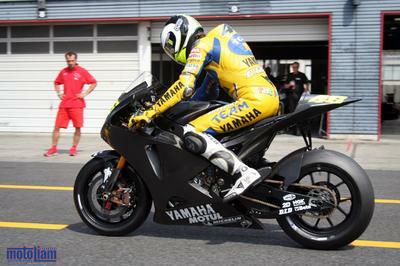 What's ur take: Rossi or Hayden? Man, that bike is the sickness! 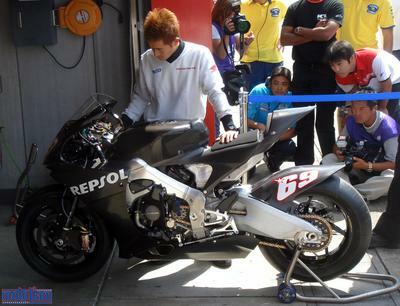 I pray something like that, or looking 100% identicle, and displacing 800cc, makes it into production!